Can Fundamental Investors Benefit from Using Cross Asset Money Flows? Is Gold acting as a Leading Indicator for Rates? Chinese Yuan Signals Constructive Outcome To The Trade Dispute? All Eyes on China, And It Does Look Promising… Perfect Trifecta? 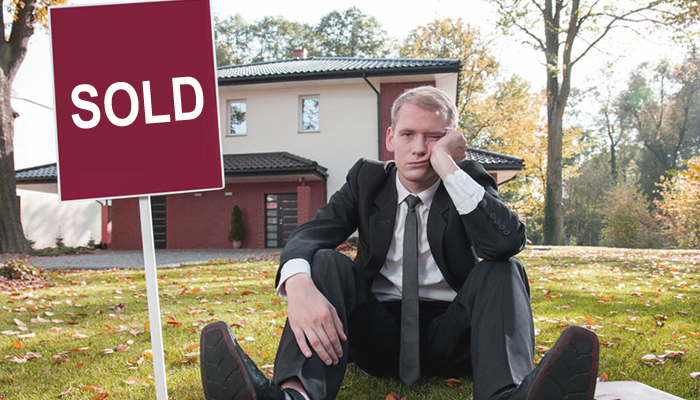 Having thoughts about selling your house? I actually met Michael Phelps back in 2006 when he was famous mostly among swimmers. Our New York Masters Swim team had our grueling practices starting at 5:30am. Michael was visiting New York for a Speedo commercial shoot and he used our 50-meter Asphalt Green pool. The coach gave him a separate lane and we all were mesmerized with his cutting through the water. Michael, obviously, went on to become the most decorated Olympian of all time, with a total of 22 medals in three Olympiads. What we easily accept in life we can’t comprehend in economics or markets. How can we blame a Monetary policy “of low or negative interest rates” for its inability to boost any growth? Let’s take a Japan for being a relatively clean example.Of course, you realize that Japan has a shrinking population? Yes, the number of Japanese is, unfortunately, dwindling. Are countries with declining population even supposed to grow? Europe is not much better (especially, adjusted for immigration). But according to Central Bankers and monetary school economists they should, if only enough of monetary or fiscal stimulus would be injected! Seriously? Would you believe that nonsense? A country with declining population would have a contracting economy! To be more precise: a country with declining labor force would have a very low to negative growth. There is no way around it! No way around it! Even if interest rates are zero forever. 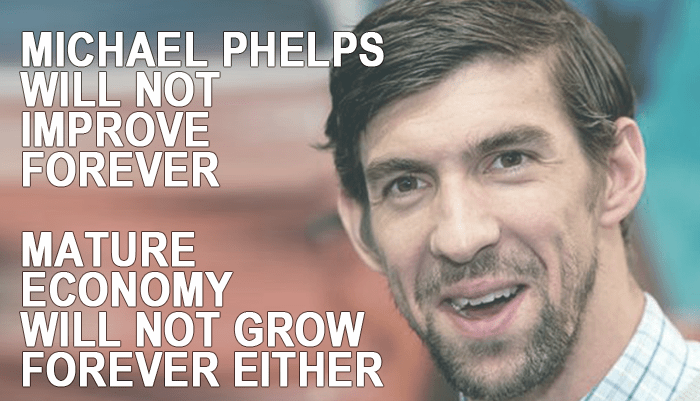 Like an aging Michael Phelps is not supposed to crush another Olympics. Not matter how much he practices or enhances his nutrition. Accept that mature economies are not supposed to grow the way they did in the 70th, 80th or 90th.